Citizen-police relations have become tenser than ever. Every news cycle brings more examples of deteriorating relationships. For example, in the inner cities, protests are growing in response to police killings of civilians, even if an officer is cleared due to acting in self-defense. At the same time, property crimes are increasing and going unsolved in middle and upper income areas in the cities and suburbs. Meanwhile, as Brakke points out, an epidemic of car break-ins and other property crimes has infected many cities around America. These crimes even resulted in a senator in California, Scott Wiener, introducing a bill to enable prosecutors to better prosecute such crimes by not having to prove a car’s doors were locked to get such a conviction, as described in an L.A. Times article in November 2018, “’Epidemic’ of Car Break-Ins Prompts California Bill to Assist Prosecutions” by Patrick McGreevy. As Brakke explains, the idea of community policy has a long history, dating back to 1967, when President Lyndon B. Johnson appointed a Blue Ribbon committee to study the distrust of the police by many community members, especially in the black community. The resulting report by the President’s Commission on Law Enforcement and Administration of Justice suggested developing a new type of police officer to act as a community liaison and work on creating a bridge between law enforcement and minority community members. 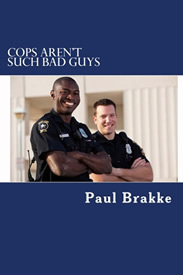 According to Brakke, the basic way community policing works is to assign officers to a specific area or beat, so they become familiar with the community, and then design specific patrol strategies to deal with the kinds of crimes that occur on the beat. For example, officers might seek to be more present to prevent criminal activity rather than respond to it. They can also solve problems raised by members of the community and promote positive service interactions with the police. decentralizing police decision-making, so lower-ranking officers have more discretion. According to Brakke, the growing use of technology by police forces around the nation can help to increase police effectiveness in many ways, from using cameras to record police activities to more quickly pinpointing the location of a crime. But this technology can reduce direct citizen-police contact, so the police need to use community policing to promote further citizen-police interaction and understanding. “There is even a Citizens Police Academy in my hometown in Little Rock,” Brakke notes. “It gives citizens an inside look at the Little Rock Police Department’s policies and personnel.” Much like these academies in other cities, the CPA there is held once a week for eight weeks and covers a different area of the police department each week, taught by certified police officers, supervisors, and personnel who are knowledgeable about a particular division. Typically, these academies cover these topics: the department’s organization and ethics, an overview of the legal system, procedures on the use of force, firearms training, traffic/DWI enforcement, forensics, and recruiting. The academies usually offer jail tours and ride-alongs, and some include SWAT and K-9 demonstrations. There is even a National Citizens Police Academy Association with member police departments around the U.S.
As Brakke emphasizes, “We need these programs now more than ever, given these growing conflicts between police and citizens in the inner cities and the growing fear of crime throughout the country. 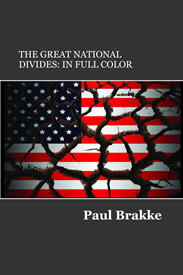 In making these observations about community policing and citizen-police academies, Brakke has become especially interested in this approach, as part of his research on criminal justice and the divisions in American society. He reported on police and citizen relationships in a chapter in Crime in America and in Cops Aren’t Such Bad Guys. He is also planning a future more in-depth analysis of how to improve citizen-police relationships. 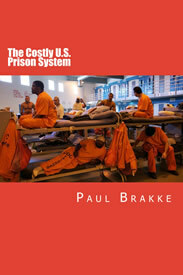 In writing his books and working as a consultant, Brakke brings to the table a unique conservative approach to crime, criminal justice, and American society. That’s because usually liberals discuss ways to reform the system through more of a social welfare approach. But Brakke’s approach is based on an economic business model of doing what works most efficiently to both cut down costs and create more productive citizens. He is now bringing his unique approach to his forthcoming book Fractured America, dealing with the many divisions that are tearing America apart and how to heal these divisions. It will be published in February. Also, free copies are available for government officials who are seeking ways to reduce crime and fix the criminal justice system and for members of the media at crimeinamericathebook.com.